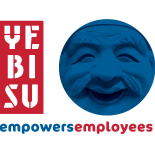 This blog shares the activities of YEBISU Empowers Employees, a three-year European project funded by the Erasmus+ programme. At the core of the project is a group of landscaping and gardening companies and VET institutes. Six years ago, we decided to build a community of practice to learn from each other and strengthen the companies and education. Since then, we have met at least twice a year, with or without project funding. When we were deciding whether we would apply for a new project, the companies in our community found themselves asking the following questions. Do our employees feel responsible for our companies? How do they interact with our clients? Can they see opportunities? What motivates them? How do they react to change? We concluded that there is room for improvement, both in companies and in the schools educating employees. From 2014 to 2017 we will develop ideas, frameworks and instruments to improve the entrepreneurial spirit and behaviour of employees. We aim to empower the employees and make the companies stronger. The YEBISU partners are used to working with the EQF and the learning outcomes approach. The project will describe entrepreneurship and define (units of) learning outcomes and further develop assessment instruments. These will be piloted on students and employees. A set of new partners will contribute to the developing. Read more about previous YEBISU partnership and activities.